Every week I try a different self – help guide’s life advice. This week I’m reading Daniel Levitin’s The Organized Mind: Thinking Straight in the Age of Information Overload. In the first installment I reviewed Marie Kondo’s The Life – Changing Magic of Tidying. Last week I tackled Paul Arden’s It’s Not How Good You Are, It’s How Good You Want To Be. At the start of this post I’ve got to issue a disclaimer – it’s not that I’ve received this book gratis from the publisher (btw – just how do you get those free books to review?) or that I know the author or anything like that: it’s that I am by profession a Science teacher. This is a book, notionally at least, about neuroscience and so I must confess that I have a natural inclination to favour this book over the other two books that I’ve read so far: The Life Changing Magic of Tidying and It’s Not How Good You Are, It’s How Good You Want to Be. Some of you have noted a faintly derisive tone in the last two reviews and it’s true, my Self – Help Binge is slightly tongue in cheek, but it started with the most serious of intentions and I have genuinely attempted to live by the teachings of Marie Kondo and Paul Arden (at least during the week in which I read their books). Marie Kondo’s writing was annoying but the effect on the tidiness of our home was dramatic. Conversely, Paul Arden had me talking like one of those daily inspiration Twitter accounts and turned me into a really quite annoying person. Daniel Levitin’s Thinking Straight in the Age of Information Overload seems at first glance to have more potential: Levitin attempts to bring his learning to bear on the problem of our fantastically complicated everyday lives. I feel I certainly fit the bill as someone who leads an overly complex life: I am a teacher, often working upwards of 60 hours in a week, I am father to two small children who attend a plethora of clubs and activities, my wife works full time and I edit themagichappinessof.com which takes up all my spare time; so I have plenty of everyday commitments to juggle. Levitin identifies attention as the most precious of the brain’s resources. Knowing where best to put your attention is a skill harnessed by a group of people the author assigns the tag HSPs: Highly Successful Persons. These people are CEOs, business leaders, social media tycoons, musicians, presidents and prime ministers. In short, they have a lot on their plate. Levitin argues that the HSPs are where they are because they leverage their considerable mental faculties in the right areas rather than wasting their attention on posting cat photos to Twitter or clicking on pop – ups promising ’15 quick tips to boost your productivity’. The phrase ‘paying – attention’ is one that we give little thought to but the author demonstrates how it has a basis in the way the brain is wired up. Switching attention between several tasks actually incurs a neural ‘cost’ and the more times we switch between activities the more of a cost we incur. This leads to us becoming tired and tiredness affects our ability to make judgments. I was happy to learn that multi – tasking, something my wife claims to be expert at, is nothing of the sort. During writing this article I have checked Twitter 15 times so far (no one has mentioned me in a tweet, liked or re-tweeted anything of mine in that time scale), checked Facebook 22 times (no new notifications), checked my blog stats three or four times, checked Tumblr and my Google+ account a similar amount of times. All for no yield. This isn’t multi – tasking. This is just switching my attention from Twitter to Facebook to my blog to Google+ and round and round again. ‘Attention is a limited capacity resource’ says Levitin, ‘there are definite limits to the number of things we can attend to at once.’ He gives the example of driving along a street looking for a turning whilst listening to the radio or trying to hold a conversation. Most of us recognise that we tend to turn the radio down or pause the conversation whilst we scan for the correct street to turn down. It is the same with all those social media accounts: if you are trying to write a book review then write a book review. Turn off Twitter, mute the updates alert on your phone, close the Facebook tab and focus your attention on the book review. All sounds eminently sensible and dare I say it, common sense, so far. The problem is, we are distractable beings. Indeed, we evolved 200, 000 years ago in an environment where things were fairly static. If something changed in your environment then it was a novelty and novelty meant potential danger. The human brain has evolved to attend to novelty. When your phone pings to tell you that you have a new Twitter notification your brain switches it’s focus to that. It takes willpower to ignore the update and focus on what you’re supposed to be doing. But this willpower incurs a cost. Levitin quotes a study by Glenn Wilson of Gresham College, London who found that having knowledge of an unread email in your inbox whilst you are trying to concentrate on a task can reduce you effective IQ by 10 points. That’s just knowing that the email is there, whether you intend to do anything about it or not. A lot of Levitin’s advice might seem common sense: write everything down that you need to remember, turn off your phone whilst you’re trying to concentrate on a task, stop posting cat photos, organize your contacts, answer emails during a defined period of time each day, get enough sleep. It’s all stuff that you’ve heard elsewhere on productivity blogs or in lifestyle supplements. Where Levitin’s book sets itself apart is in showing the reader how all of this is routed in sound neuroscience. It’s not easy to adopt new routines though. I’ve tried one strategy from the book which is something that I remember reading about as a teenager in Zen and the Art of Motorcycle Maintenance. ‘Zen and…’ is a strange book and when I read it as a youngster I completely missed it’s function as a self – help book and read it mainly as a novel of ideas. 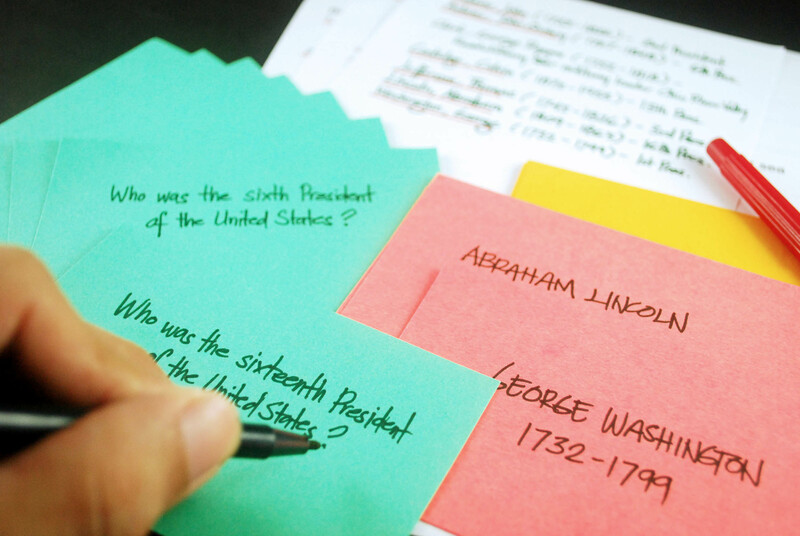 The protagonist uses the idea of writing down his to – do list on a series of index cards. This is something that appealed to me. Each item on your to – do list is written on a separate card and then these cards are shuffled so that the item that is uppermost on your list of priorities sits on top. Once I have completed that task I rip the card up and throw it away. This is much more rewarding than crossing it off an enormous long to – do list. The reward element of completing a task should not be neglected. In a recent review of So you’ve been Publicly Shamed by Jon Ronson I discussed how social media is designed to hijack our attention systems by offering us a neurological reward – a quick release of dopamine, the hormone associated with our brain’s pleasure pathways – every time we complete a task. Gaining an extra follower on Twitter or a share on Facebook, responding to a tweet or answering a query in an email counts as completing a task and so generates that little kick of dopamine that keeps you going back for more. Now these ‘tasks’ are not really tasks of any significance at all. I might spend 15 minutes checking my emails, then 5 minutes going through my Twitter notifications and a further 5 minutes checking my Facebook notifications and responding to inbox messages. None of these little ‘tasks’ is really achieving anything significant but they all bring with them the feeling that I’m being busy. My brain is certainly busy switching from one thing to another constantly and I’m generating the little addictive reward of a kick of dopamine every time I complete a task but I’m not really achieving anything. And whilst doing all this insignificant ‘work’ I am neglecting significant things that need attending to like setting up a new savings account or securing some dental insurance at a reasonable price. The index cards method of sorting my priorities worked out fine for me for the first two days. I assiduously wrote down every new thing that I needed to attend to and indexed it in my to – do pile. I sorted the pile at regular intervals and when the pile seemed to be getting too thick I whittled it down by actually doing some of the things in the pile. Great. Except keeping on top of the pile required self – control and motivation. When the colourful index cards were fresh out of the packet they were a novelty and I attended to using them as one attends to a new pet. When I’d lived with the method for a couple of days I started forgetting to write out new cards when a task popped up or skipping it altogether, telling myself that it was too much hassle to fish the cards out and fill one out. Then I started to forget to check them altogether. I could remember what was written on the uppermost card but not the ones underneath. I think the message from this book is that some of us are more organised than others but the key is that none of us evolved to be this way. Our brains are set up to handle a much less complicated world with less information to process and far fewer social contacts to keep track of. Feeling like we’re not on top of our everyday existence causes anxiety and can be stressful. We can teach ourselves to become organised though, but it takes training and practice, like mastering anything else. Oranisation is about embedding good habits into your day to day routine. The trick is to be consistent. Adopt a strategy and stick with it until it becomes a habit. Next week I will post a review of my self – help progress so far; what’s worked, what’s gone wrong and what I’ve learnt so far. That will give me a bit of time to read the next book on my list which is Thrive by Arriana Huffington and was suggested by Its – Jme whose awesome blog you should check out. If you’ve read any of the three books I’ve discussed so far I’d love to hear your thoughts and if you’d like to suggest a self – help title for me to try out then please comment below, tweet to @TmhoLudek or email themagichappinessof@gmail.com. Thanks to everyone for their suggestions on their favourite self – help books. I’ve got a list of 8 titles to get me started. With some degree of inevitability (see my previous posts) by far the largest number of votes was for me to try out Marie Kondo’s ‘KonMari method’. I bought Kondo’s ‘The Life – Changing Magic of Tidying Up’ from Amazon this morning so it should arrive tomorrow (Friday 29th January) and we’ll be ready to go. If you’ve Kondo’d your home (or indeed some deodorant) or if you’ve read the book leave me a comment or tweet me @TmhoLudek. The magic happiness of a self – help binge? A quick internet search for the term self – help reveals it to be the worlds biggest selling genre. The most commonly quoted figure of the industry’s worth is $11bn, most of it spent in the US admittedly, but the UK is catching up.